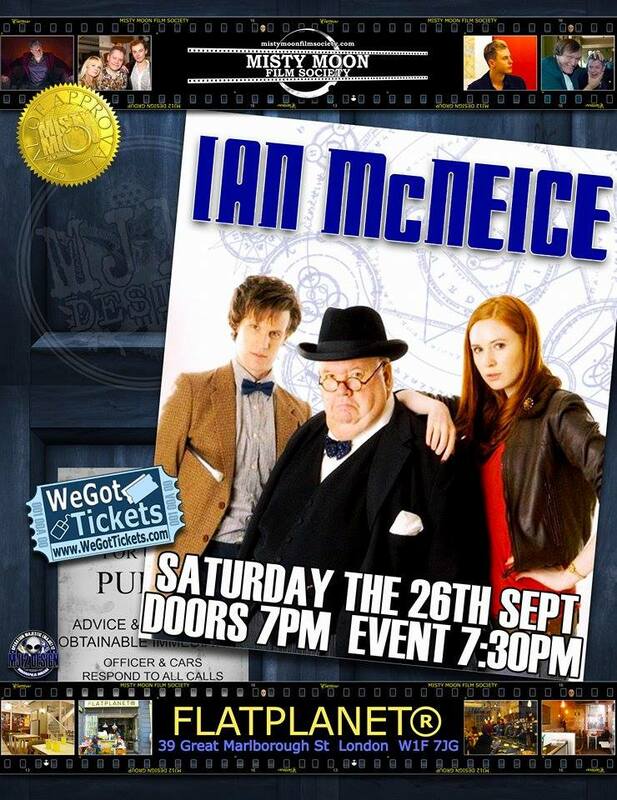 The Misty Moon Film Society is proud to announce An Evening With Ian McNeice on Saturday the 26th September @ FlatPlanet as part of our Autumn Season. Ian has starred in numerous TV, Film & Stage roles and can been seen in Doc Martin as Burt and also Doctor Who as Winston Churchill. Ian will be taking part in an intimate Q&A hosted by Misty Moon’s MC Chris Collins and will be meeting the audience and signing autographs after the Q&A. For tickets please click the link under the poster.